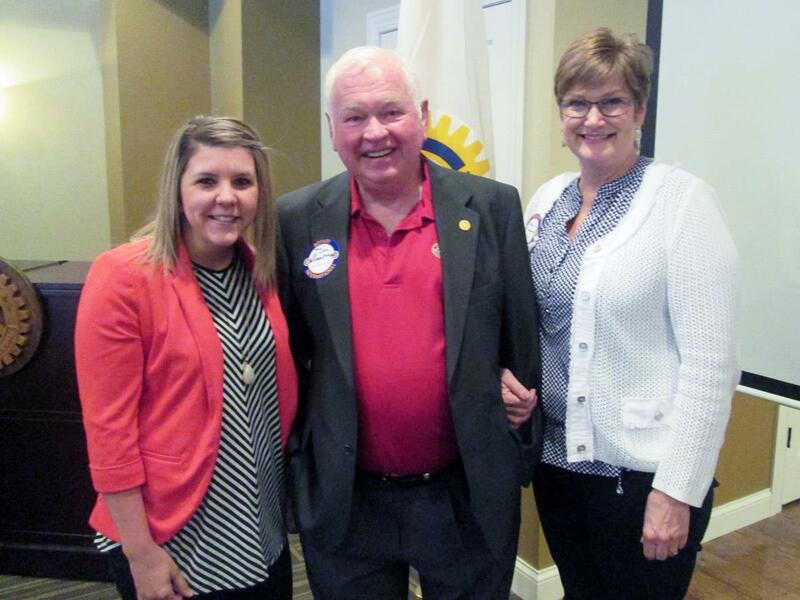 Rotary File for May 31, 2016 | Rotary Club of Iowa City A.M.
Casey Cook announced his latest matching gift to bring the club to within $1500 of the $50,000 goal for the Johnson County Community Fund endowment for the AM Rotary. Those wishing to contribute to the endowment fund can get tax credit for it from the State of Iowa. That $50,000 fund will allow us to use $2500 in interest from the fund to replace some of what used to come from the Can Do project. Those funds should also grow over time. Imagine the permanent good that can be done in the community once that fund reaches $1M! Deb Ockenfels gave a RI Foundation Minute on the Rotary credit card that is available by going online to RI and checking out the MyRotary tab. The credit card has donated back over $8 million to RI since its inception. It also provides members with a good cash back reward program. Hazel Seaba also pointed out that those who shop through Amazon Smile can designate the local Rotary club to benefit from a reward. Signup for the Year Ender is available at the back table. The date is June 25 at the Ockenfels' hangar at the Iowa City Airport at 4 pm. The cost is $20 per person. Myrene Hoover passed out the list of program chairs for the next fiscal year. Joan Garrity thanked all of the people who distributed dictionaries to fourth graders in Iowa City schools. Once again, it was a very successful program and much appreciated by students and their teachers. Brian Adamec plugged our weekly sale. Jim and Beth Blessman began their ministry as missionaries 15 years ago and 11 years ago began their ongoing projects in the northern South Africa province of Limpopo. Jim is a physician by training. The Blessman's state-side home base is in Urbandale. Limpopo is a very beautiful region of South Africa and one that the people who visit their ministry enjoy seeing so that part of each trip is spent in service and showing visitors projects around the area and part of each stay is to enjoy tourist activities. The Limpopo water project has provided wells to 10 schools and their communities through the second largest RI global matching grant ever of $161,000. The grant involved several Central Iowa Rotary clubs, a couple of clubs in South Africa, and a $25,000 grant from Hy-Vee. By the end of June the project will be completed and the final report on the grant will be submitted to RI. The project followed RI's new guidelines so that each school has a council to run the water projects and people have been trained to maintain the wells. Ongoing each well project must be self-sustaining. Each year 12 teams go over to do service projects with the Blessmans. Two of our members, Karen Franklin and Nan Johnson, have been on one of these teams in the past. They have provided shoes for children who otherwise go to school without them. They provide enough food packets through Meals for the Heartland to feed 7,500 kids per year. They help to provide material for the workshops that make uniforms for the kids to wear for school. There is also a new project to provide kits for girls to use during their monthly cycles. The latest project for which Blessman Ministries is raising funds right now is to provide a match to half of the $800,000 cost for the Limpopo government to build safe toilet facilities at schools around the province. This is as a response to the deaths of two students who fell into latrines in the past few years and the subsequent legal suit against the province on the part of the parents of the lost children. This will not be a RI grant project because of the speed with which this work must get done, but it is based on a match with the provincial government similar to Rotary's matching grant program. Clubs and individuals are certainly invited to make donations to this project. Next year Blessman wants to raise $1M from South Africa and $1M in the US to support the various ministry programs, including building more safe toilet facilities, the shoe project, an eyeglass project, the regular meals for children and the Days for Girls project. They are also just starting to look at another RI global grant opportunity to provide farm training for South Africans. What is happening is that as white farmers retire and sell their farms they are being bought by the state and distributed to, or sold to native people. Educational levels are so low and unemployment so high, especially in rural areas, that to make these new farmers be successful they need training.